A power station, also referred to as a generating station, power plant, powerhouse, or generating plant, is an industrial facility for the generation of electric power. Most power stations contain one or more generators, a rotating machine that converts mechanical power into electrical power. The relative motion between a magnetic field and a conductor creates an electrical current. 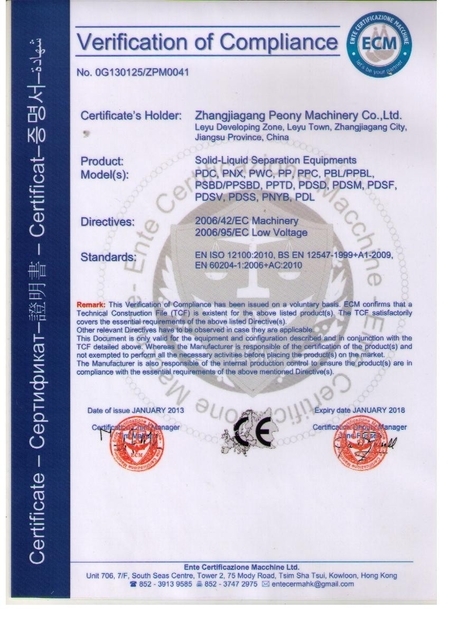 The energy source harnessed to turn the generator varies widely. Most power stations in the world burn fossil fuels such as coal, oil, and natural gas to generate electricity. Others use nuclear power, but there is an increasing use of cleaner renewable sources such as solar, wind,wave and hydroelectric. 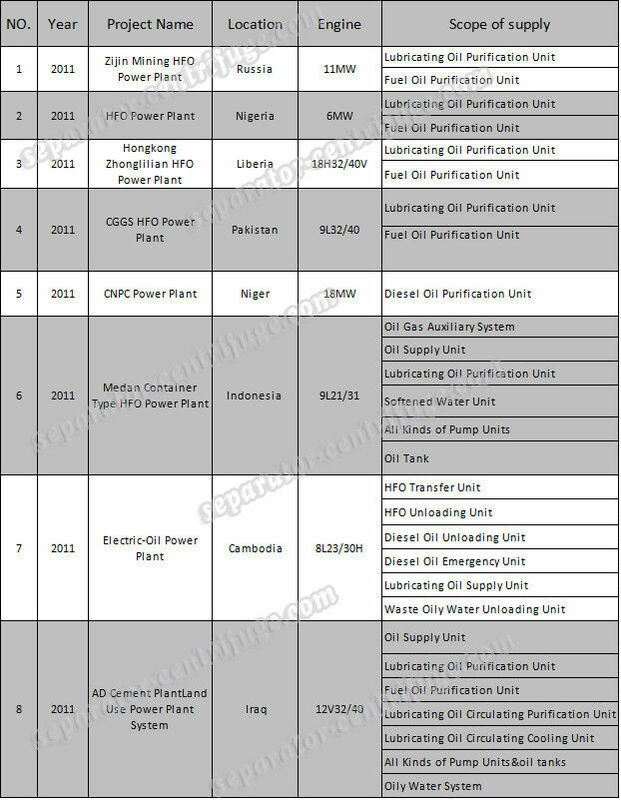 We supply complete power plants based on HFO and/or Diesel fuel worldwide,using either low or middle speed (less than 1000rpm) gensets,These power plants are for baseload,peak shaving or standalone application,ranging from few megawatts to hundreds power plants.we supply HFO or dual oil (Fo and crude oil) as fuel to generate the electric power station. 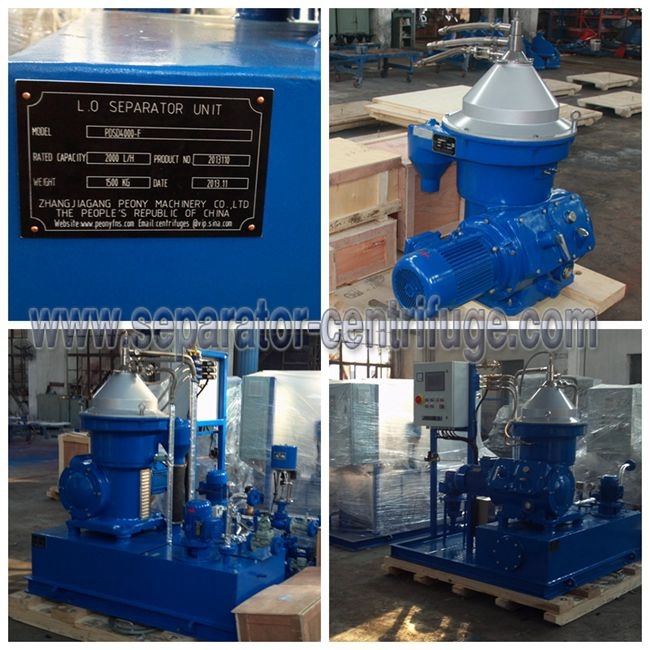 HFO centrifuge separator model PDSD14000 separator is mainly used to remove water and mechanical impurities from diesel oil, lubricating oil and other mineral oil in marine diesel engine unit and land-used diesel generator unit of power station so as to reduce wear of the diesel engine and other machine, and prolong engine life. The model is also used to separate two unsolvable liquids with different specific gravity or remove small amount of solid particle from liquid. The machine adopts automatic control, and has the advantages of high efficiency, low oil consumption, convenient operation and economic maintenance cost. 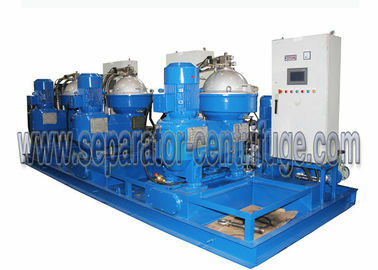 Model PDSD14000 separator is mainly used to remove water and mechanical impurities from diesel oil, lubricating oil and other mineral oil in marine diesel engine unit and land-used diesel generator unit of power station so as to reduce wear of the diesel engine and other machine, and prolong engine life. The model is also used to separate two unsolvable liquids with different specific gravity or remove small amount of solid particle from liquid.